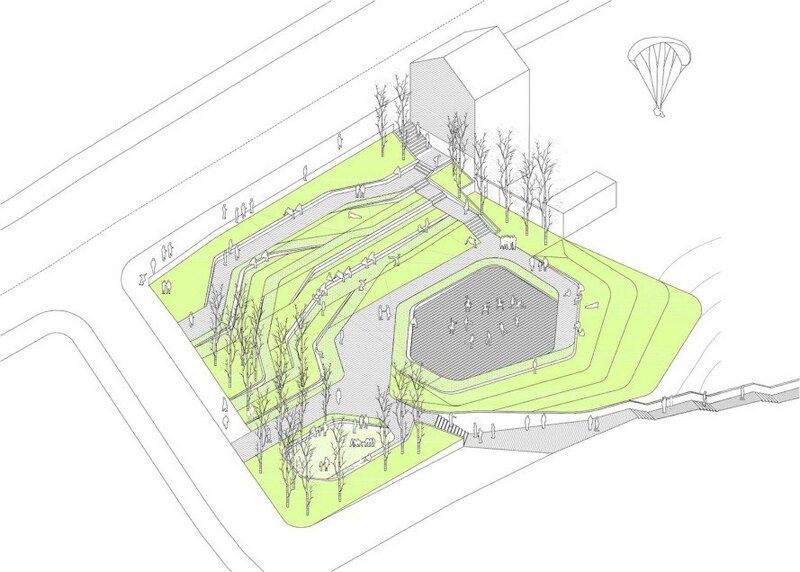 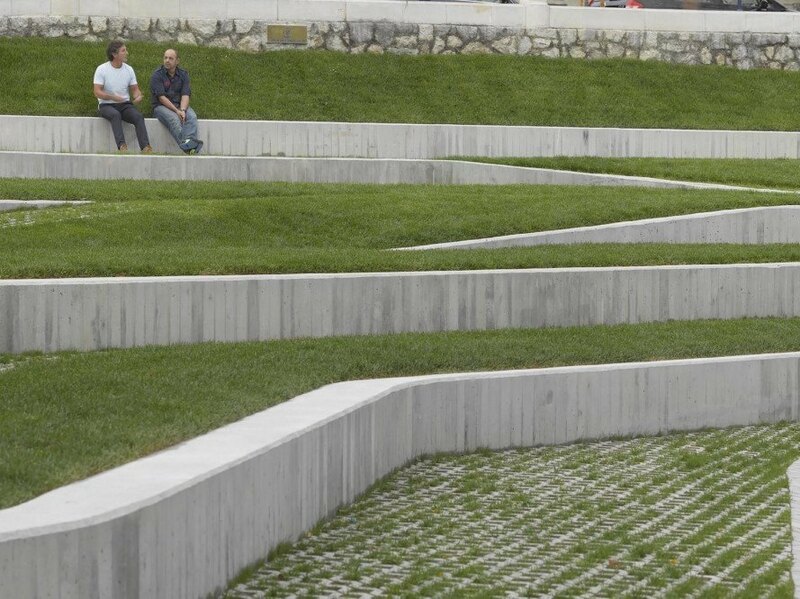 <a href="https://inhabitat.com/tag/stormwater-management/" target="_blank">Stormwater management</a> should be an integral component of any site design, but making it look attractive can be tricky. 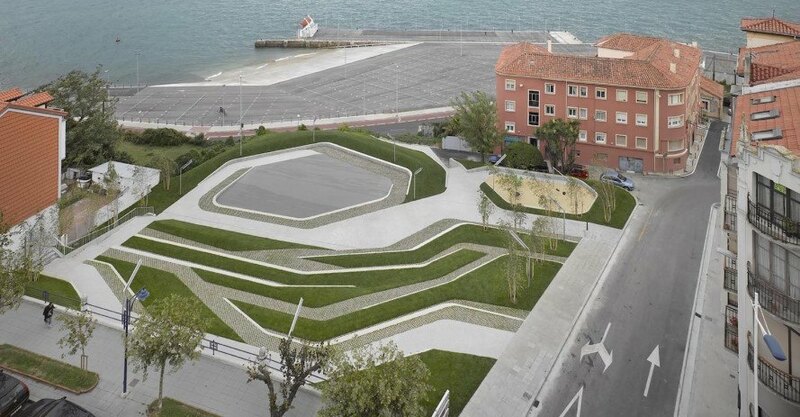 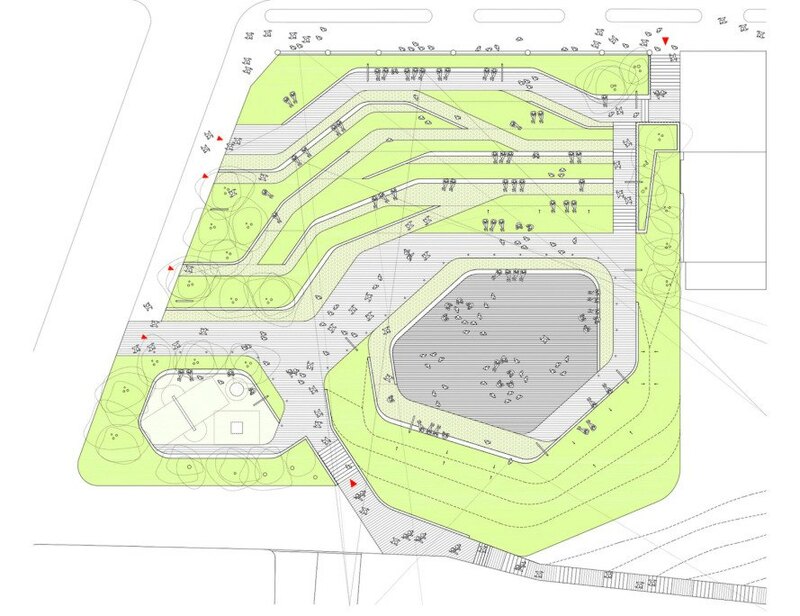 Madrid-based <a href="http://www.zigzagarquitectura.com" target="_blank">Zigzag Arquitectura</a> rose to that challenge and turned permeable paving into a beautiful design component in the San Martín de la Mar Square, a public square and amphitheater in Cantabria, Spain. 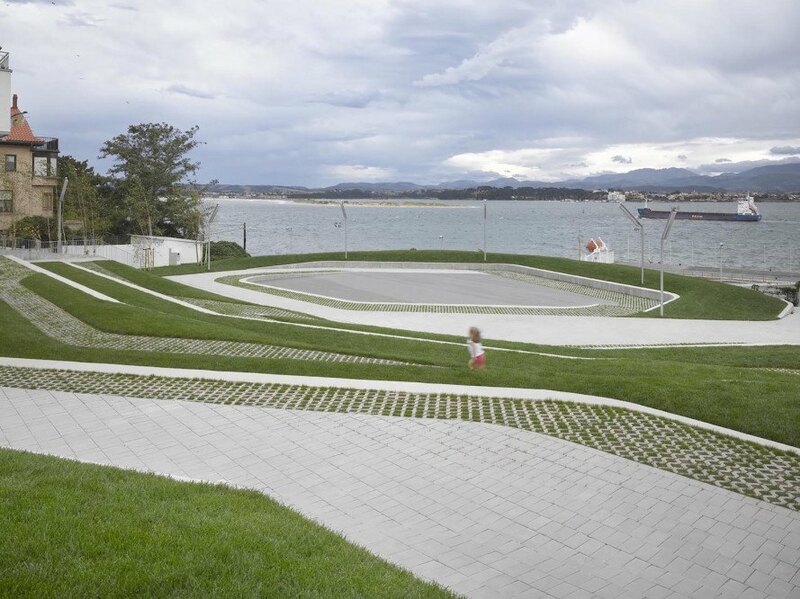 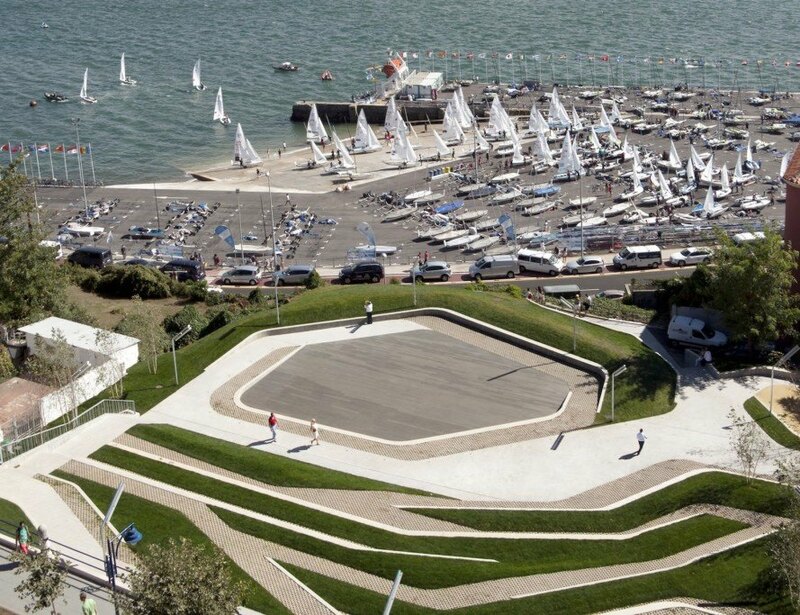 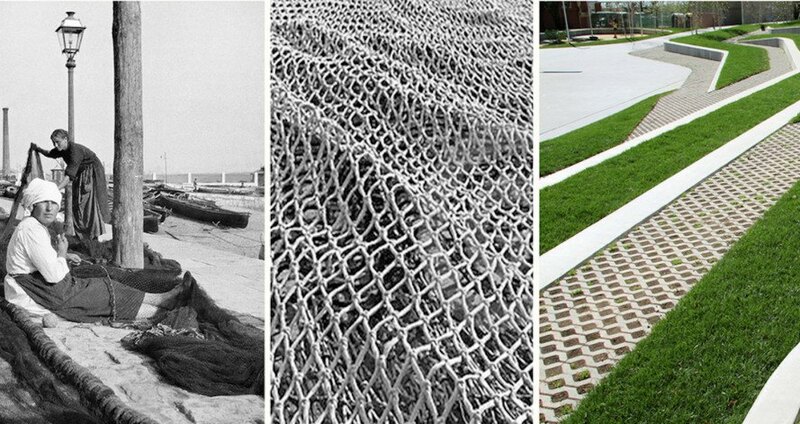 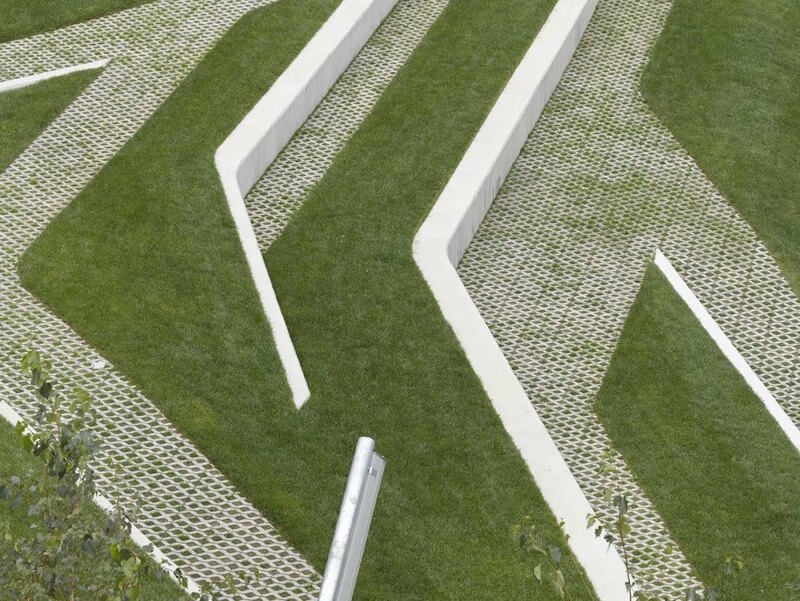 Built to overlook the sea, the urban park comprises a series of terraced geometric platforms with alternating bands of grass, permeable paving, and concrete.